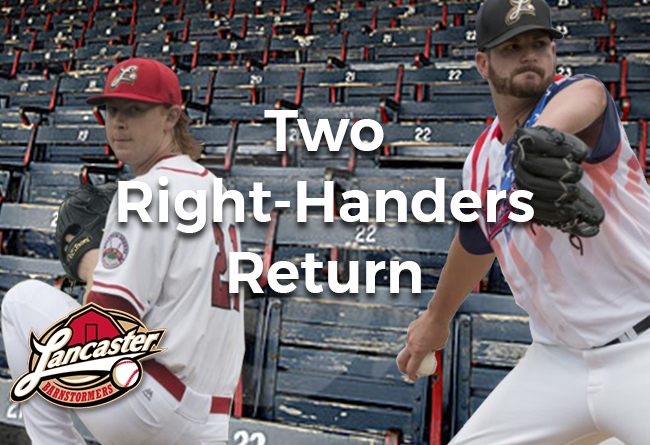 (Lancaster, Pa., Feb. 24, 2017) - Right-handed pitchers R.J. Hively and Connor Root have signed contracts with the Atlantic League’s Lancaster Barnstormers for the 2017 season, it was announced today by manager Ross Peeples. The signings bring the total number of players under contract to 14 for the upcoming campaign. Hively, 28, came to the Barnstormers from the Bridgeport Bluefish midway through 2016. The right-hander from Orange County, CA appeared in 33 games, all in relief, with Lancaster. He had entered 16 games for the Bluefish, including eight starts. Overall, the right-hander was 1-7 with a 6.48 ERA in the Atlantic League. The product of the University of Mississippi signed with the Arizona Diamondbacks in 2012 and had a composite 2.19 ERA over his first three seasons in the D-backs’ organization. He went 5-5 with a 4.69 ERA at three different levels in 2015, including a stretch with Class AAA Reno. Root, 24, made six starts for the Barnstormers in 2016, his first professional season. The native of Nashua, NH was 1-3 with a 5.86 ERA, picking up his lone win, a 5-4 decision over Bridgeport, during the Barnstormers’ final series of the season. He had previously pitched at NCAA Division II Bentley College. Root was invited to spring training with the Barnstormers and then called back in June for two starts and again at the end of the season.